Dead weight: 1870 Kg, Lifting force of front linkage: 1300 Kg, Axle load front/rear: 1800 / 2100 Kg, 49 HP. 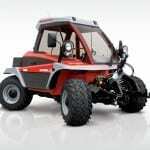 All-terrain 4WD tractor with 4-wheel steering mode. The two-axle mower in the lower performance range with high lifting forces. Powerful torquey 4 cylinder turbocharged diesel engine, naturally aspirated. 4 speed ranges via hydrostatic drive with mechanic 2-step gearbox. Power shift PTO front (540 rpm) and rear (540 rpm). Fixed, axle guided front linkage with electro-hydraulic weight compensation and high lifting force. 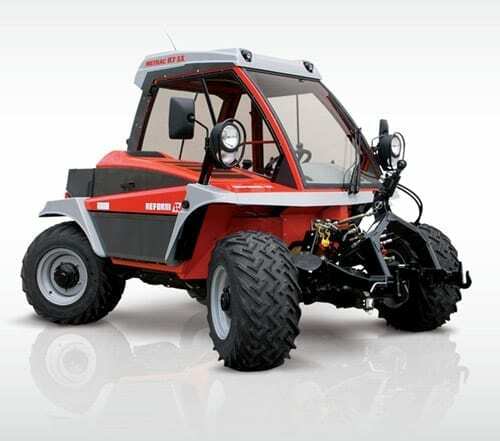 Dead weight: 1870 Kg, Lifting force of front linkage: 1300 Kg, Axle load front/rear: 1800 / 2100 Kg, 49 HP.